In the near future, wireless sensor networks will become an integral part of our day-to-day life. To solve different sensor networking related issues, researchers have been putting various efforts and coming up with innovative ideas. Within the last few years, we have seen a steep growth of research works particularly on various sensor node organization issues. The objective of this book is to gather recent advancements in the fields of self-organizing wireless sensor networks as well as to provide the readers with the essential information about sensor networking. ZAHIR TARI, PhD, is Professor in Distributed Systems at the Royal Melbourne Institute of Technology (RMIT University), and head of the Distributed Systems and Networking group at the School of Computer Science and IT. He is the author of two books, editor of over four, and has been published in numerous prestigious journals and conferences. PETER BERTOK researches and lectures on networked and distributed systems at RMIT University. He has over 100 publications for conferences and journals and has written numerous book chapters. He is vice chair of the IFIP Working Group on Co-operation Infrastructure for Virtual Enterprises and Electronic Business, and is a member of the IEEE and the ACM. Anshuman Mukherjee teaches at the Institute of Information Technology, University of Dhaka in Bangladesh. 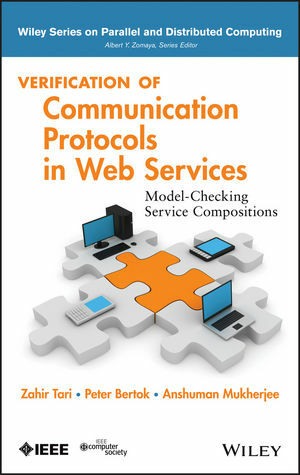 He has published multiple works on sensor networking in addition to authoring one book on the subject.